Sorry to my AIP fans, this one has eggs. But I'm getting a lot of requests from different groups for a grain-free pizza crust! This one is my absolute favorite. It's got a nice crispy outside and a light, chewy inside, holds up to lots of toppings, and the slices can even be folded like a traditional pie! 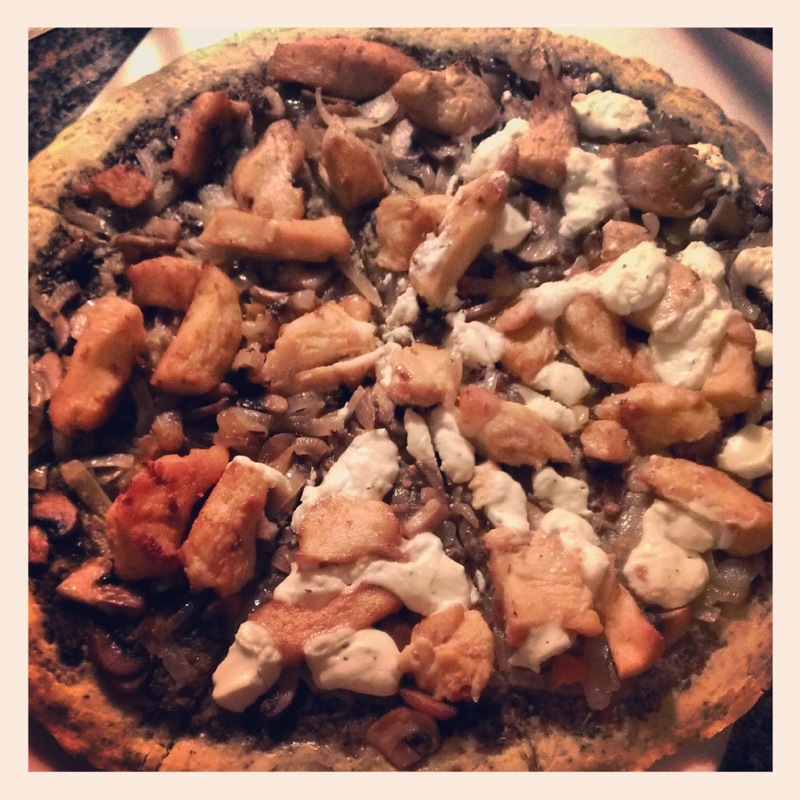 The recipe can be adapted easily for different things but my favorite use is hands down pizza! If you are AIP+eggs, then no worries! See adaptations at the bottom to make this recipe work for you. And I have a great AIP recipe coming up for those of you who can't do the pizza crust. Preheat oven to 375°F. Mix dry ingredients together (tapioca, cream of tartar, baking soda, shredded cheese if using, garlic powder and seasonings). Mix in wet ingredients until well combined. Spread on a parchment paper lined pizza pan or baking sheet. Use extra oil to help spread it without it sticking to your hands (don't go too crazy). Top with desired sauce and/or toppings. Bake 10-12 minutes. If you want cheese brown and bubbly, I suggest popping really quickly under the broiler for a minute or two. You do NOT want to dry out the crust. The top will feel crispy, but the insides will be light and chewy and should be a little springy. The crust will not brown because tapioca doesn't brown so you have to gauge doneness by touch. --Dairy-free: Use coconut milk or coconut milk kefir in the crust. Skip the cheese in the recipe and the cheese topping. Drizzle with olive oil before serving. --Nightshade free: Use a dairy-free/nut-free pesto or try and olive tapenade or mushroom tapenade. --Add extra toppings to boost flavor that will be missing from sauce and cheese: mushrooms, olives, onions, basil or other herbs, lots of meat especially bacon, etc. --Use the pesto or olive tapenade links above to keep it nightshade free.